The Black Russian - Audiobook | Listen Instantly! The Black Russian is the incredible story of Frederick Bruce Thomas, born in 1872 to former slaves who became prosperous farmers in Mississippi. A rich white planter’s attempt to steal their land forced them to flee to Memphis, where Frederick’s father was brutally murdered. 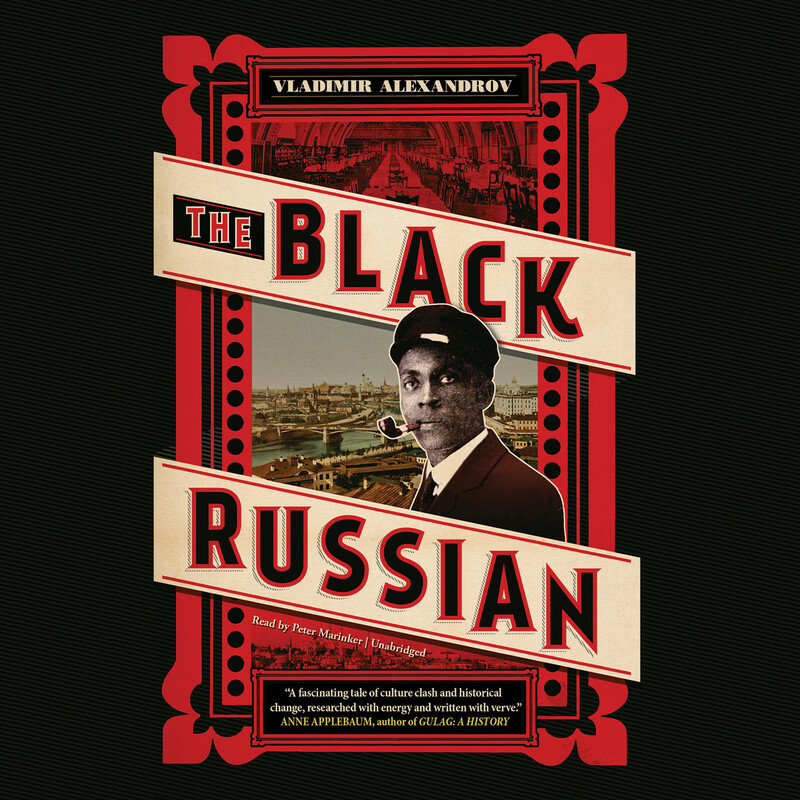 After leaving the South and working as a waiter and valet in Chicago and Brooklyn, Frederick sought greater freedom in London, then crisscrossed Europe, and—in a highly unusual choice for a black American at the time—went to Russia in 1899. Because he found no color line there, Frederick made Moscow his home. He renamed himself Fyodor Fyodorovich Tomas, married twice, acquired a mistress, and took Russian citizenship. Through his hard work, charm, and guile he became one of the city’s richest and most famous owners of variety theaters and restaurants. But the Bolshevik Revolution ruined him, and he barely escaped with his life and family to Constantinople in 1919. Starting from scratch, he made a second fortune by opening celebrated nightclubs that introduced jazz to Turkey. However, the long arm of American racism, the xenophobia of the new Turkish Republic, and Frederick’s own extravagance landed him in debtors’ prison. He died in Constantinople in 1928. Vladimir Alexandrov received a PhD in comparative literature from Princeton. He taught Russian literature and culture at Harvard before moving to Yale, where he is B. E. Bensinger Professor of Slavic Languages and Literatures. He is the author of books on Bely, Nabokov, and Tolstoy and has published numerous articles on various other Russian writers and topics. Peter Marinker is a highly experienced stage actor whose credits include The Big Idea, Easy Access, Fear and Loathing in Las Vegas, and The Merchant of Venice at the Old Vic. On television he has appeared in Bugs, Bodyguards, and Casualty, while his films include Event Horizon, Judge Dredd, The Russia House, and The Emerald Forest.